I’ve made something super delicious with my best friend today! 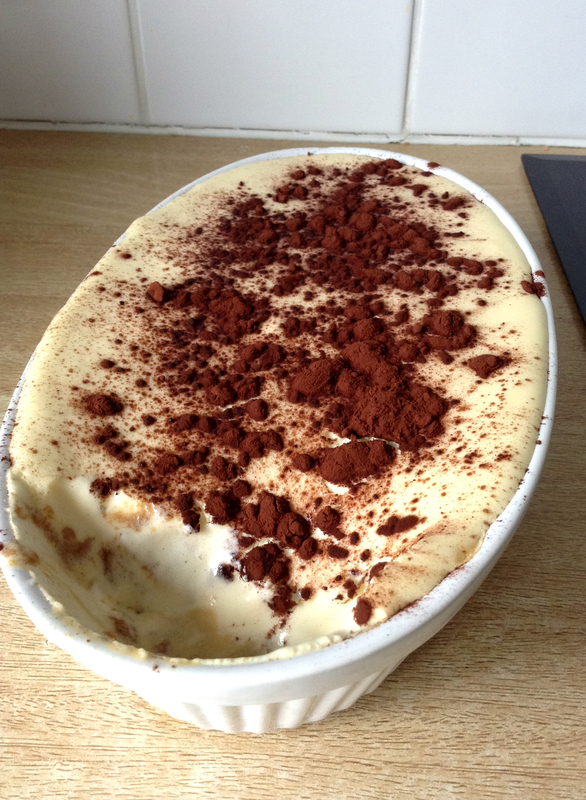 Together we made a perfect homemade tiramisu! I never thought it would be this easy but my Companion was a great help in the kitchen! He did everything. All I did was add the ingredients and tell him what to do. Split the eggs. Place the beater in the companion and add the egg yolks and 25 g of sugar. Mix it for 1,5 minute at speed 7. Add the mascarpone and mix it 3 minutes at speed 7. Pour the mixture in a separate bowl and clean our best friend. Place the beater in the Companion again. Add the egg whites and beat them for 2 minutes at speed 7. Add 25g of sugar and mix 4 minutes at speed 7. Gently add the egg whites to the mixture in the separate bowl. Stir carefully with a spatula. 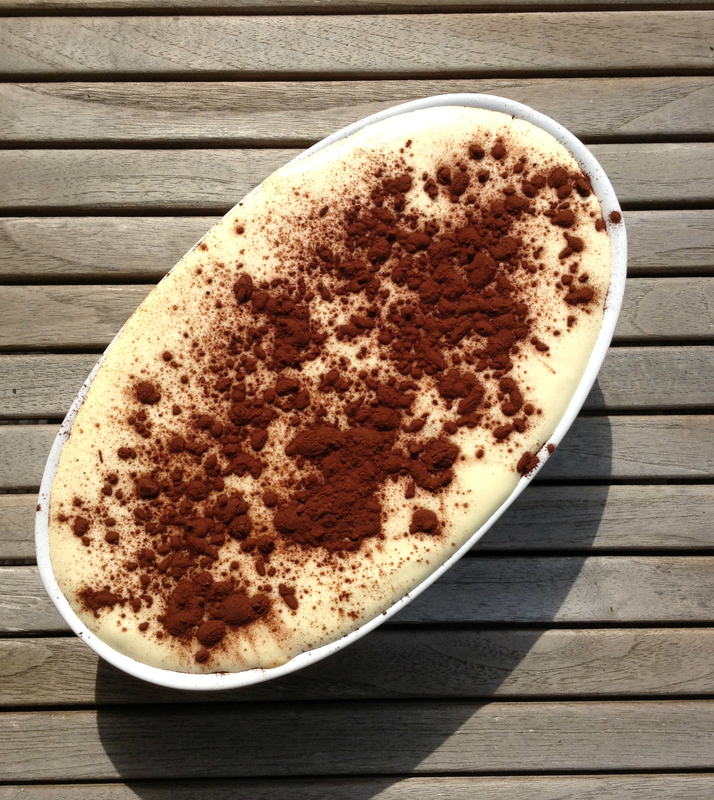 Grab a nice dish to put our tiramisu in. Soak our speculoos in the coffee and place them in the dish. Pour the tiramisu over it until it is filled for ½. Make a second layer of speculoos cookies and pour the rest of our tiramisu over it. 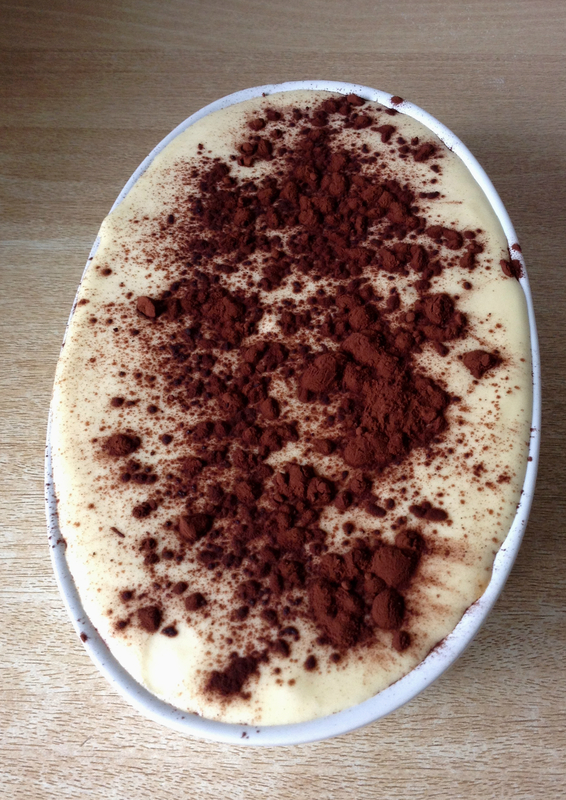 Sprinkle some cocoa powder over the tiramisu and save it at a cool place. Invite your other best friends and enjoy your homemade tiramisu! Lovely. 🙂 I adore cooking with friends, it’s so much fun! It’s always a pleasure to eat tiramisu!!!! yummy!!! Having all these things here in Belgium often makes me forget about the availability in other countries. Oh wow, Sarah speculoos cookie tiramisu sounds AWESOME. Even better than the original. High five girl!